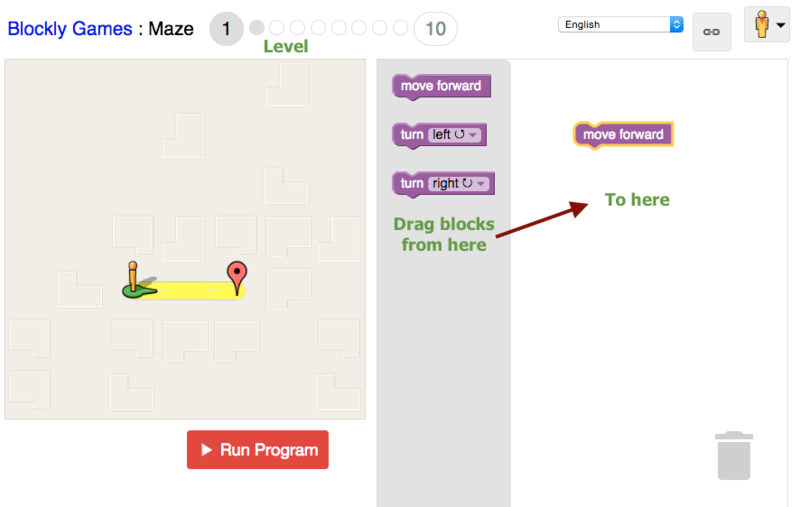 Now that you can use the Blockly interface, it's time to write code to solve problems. A program is simply a series of very specific instructions that tells a computer what to do. Let's get started by instructing a robot to reach the goal. Level 1. Use 2 blocks to instruct the robot reach the goal. Level 2. Life isn't always a straight path. Use the turning block when you need to turn. After beating level 2, go on to the next page in Learneroo.